Our first quality wholesale towels are made at the largest mills in the world. 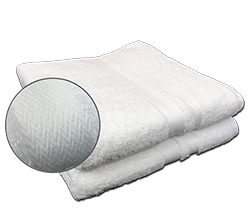 This ensures each towel is produced with quality and consistency for each order. All of our wholesale towels and wholesale linens are made at the largest mills in the world to ensure consistent quality each and every time you order. We stock these products and whether you need one carton or a full trailer, we have the first quality towels and linens that suit your needs. In addition to our in stock line, we have created hundreds of private labeled textile lines specifically designed for individual customers. The Magellan Collection Our heaviest towel line is also OEKO-TEX® certified. No harmful chemicals were used to manufacture this towel. The Admiral towel Collection is specifically designed for the wholesale hospitality towel market. Elite Pearl Collection - Made with 100% ring spun cotton and a blended ground to provide a perfect combination of feel and durability. Plus Crescent Collection - Economical optically bright white towel that's poly blended for a stronger, longer lasting lifespan. Premium Apollo Collection - Hospitality towels with institutional packing to offer a soft towel that is bale packed for freight efficiency. Basic Arctic Collection - 10 single open end yarn with Kare Bleaching for an optically white appearance at the value price-point. Lulworth T200 Sheets - Our institutional Sheets weave quality and value together to create a perfect hospitality sheet. Lulworth T180 Sheets - Our institutional Sheets weave quality and value together to create a perfect hospitality sheet. True Color Towels - Ideal for colleges, gyms, golf clubs, and hotels. These towels are soft, ring spun100% cotton, with a dobby border. Cabana & Pool Towels - We carry basic and premium resort towel options along with private label and custom sizes or stripe options. Bleach Safe Stylist Towels - These oversized hand towels are guaranteed to protect against color-loss from bleach or other salon chemicals. Terry Kitchen Towel Sets - This ensemble features yarn-dyed color-coordinated kitchen towels, dish towels, and pot holders. 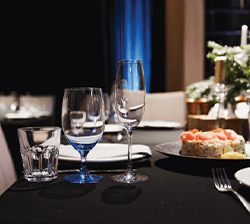 Poly Spun Napkins - New for 2019, we have a full line of spun poly black and white table linen. Poly Spun Bistro Napkins - These oversized bistro napkins bring a touch of rustic class to every restaurant. Route Ready Bar Mops - Optically white and packed in bags of 25 so you never have to pre-wash or recount them prior to use. 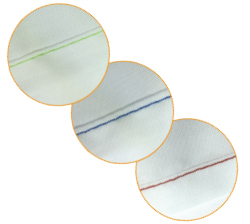 Poly Spun Napkins - A staple item for all restaurant laundries, we offer the most popular durable, vibrant aprons and napkins.